Silver Alert Hellas Rebranding Silver Alert is the national emergency coordination program for early and accountable citizens to eliminate elderly cases. 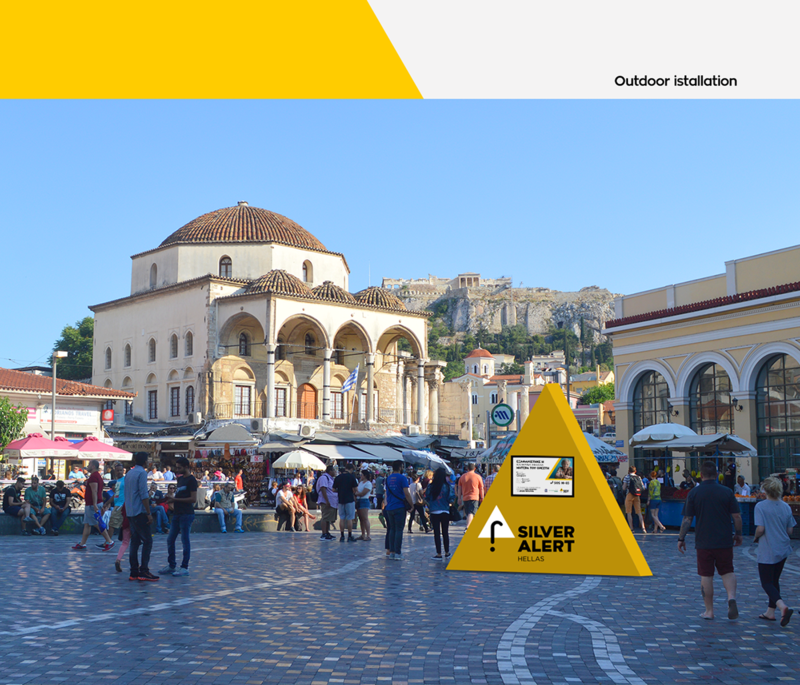 Silver Alert Hellas is the first organized system operating in a European country that aims to timely and validly broadcast information about the disappearance of elderly people. 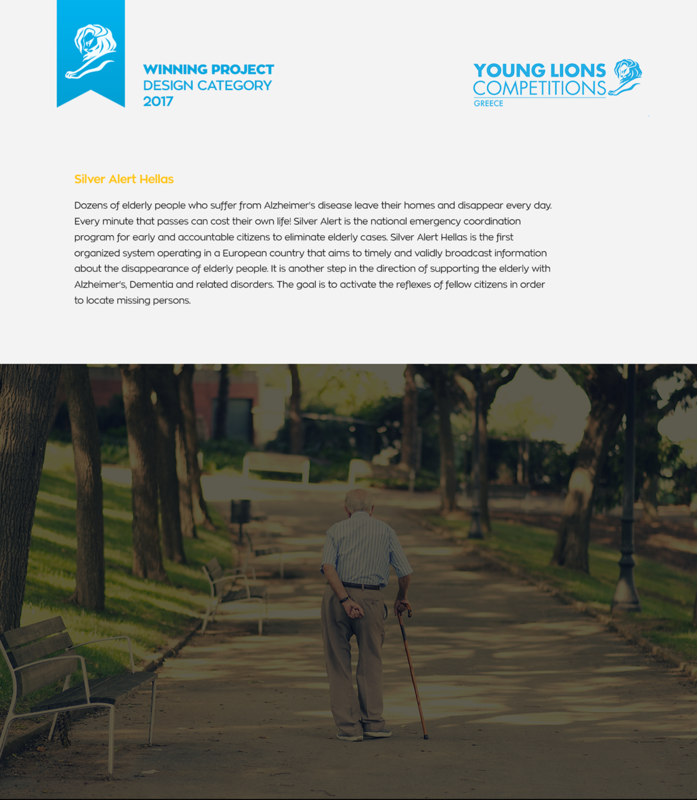 It is another step in the direction of supporting the elderly with Alzheimer's, Dementia and related disorders. The goal is to activate the reflexes of fellow citizens in order to locate missing persons. Rebranding The logo is inspired by the triangular warning sign, which is internationally used as a symbol of danger. The exclamation mark is turned into a walking stick to indicate that the organization is associated with elderly people. It is placed out of the triangle to note that a person has left their house or their community. Geometric shapes that are consistent with the seriousness of the subject are used, as well as intense diagonals that attract the viewer's attention and impart a sense of movement and immediate mobilization.